EXCLUSIVE - The main organ of Notre-Dame de Paris miraculously preserved: "Nothing burned, nothing melted"
Laurent Prades, steward of the interior patrimony of Notre-Dame de Paris, spent the night removing works from the cathedral to save them from the flames. On Europe 1, he reassures about the state of the organs. Under the disemboweled roof of Notre-Dame de Paris were hundreds of masterful, historical and priceless works. In what state are they today, after the terrible fire that devastated Monday night the cathedral? And especially the huge main organ, some pipes dating back to the 15th century. In exclusive Europe 1 Tuesday, Laurent Prades, steward of the interior heritage of Notre-Dame de Paris, has provided reassuring information. "Not a drop of water". 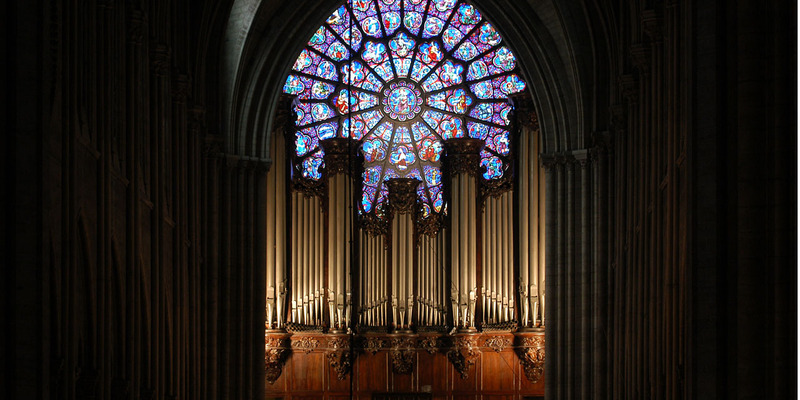 "The big organ was not touched at all except that it was very dusty, but it did not take a single drop of water, so it took soot and dust, so it is totally useless, but nothing has burned, nothing has melted, "he assures Europe 1. As for the second organ, used daily and located in the choir," it was copiously watered (by the fire hoses), but it was to preserve the stalls of the 18th century (rows of seats, linked to each other and lined up along the walls of the cathedral choir, ed) that are just below. " With firefighters, architects and curators, Laurent Prades operates Tuesday a global identification in the building shaken, "to note the major architectural disorders, the things that must imperatively be deposited in the coming hours before it does not collapse anymore, "he says. Second ballot on Easter Sunday: Election campaign in crisis country Ukraine ends with "Day of Silence"